This single-feed remodel recessed transformer converts standard 120 line-voltage to 12 volts to provide the necessary voltage for powering a MonoRail low-voltage lighting system. It can power lamps totaling up to 150 watts. 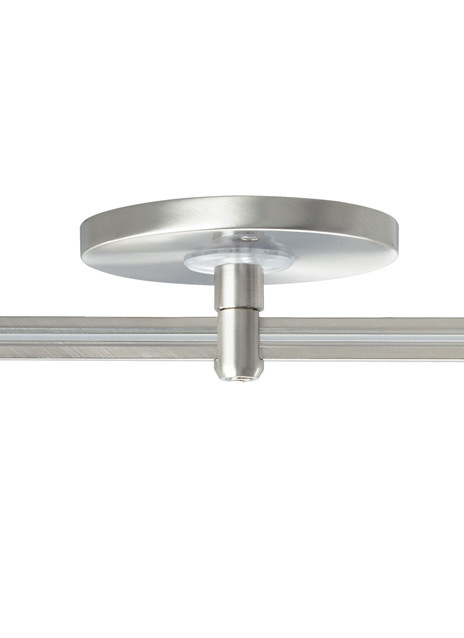 The transformer installs in similar fashion as a remodel recessed downlight and is concealed inside a housing that recesses above the ceiling. The decorative housing is the only visible portion of the transformer once installed. Should a short occur a fast acting secondary circuit breaker that will safely turn the system off. Once the short has been removed the unit can be reset by simply flipping the wall switch off and back on. Dimmable with a 600 watt low-voltage electronic dimmer. Not compatible with Power Extenders or Standoff Vault Adapter.